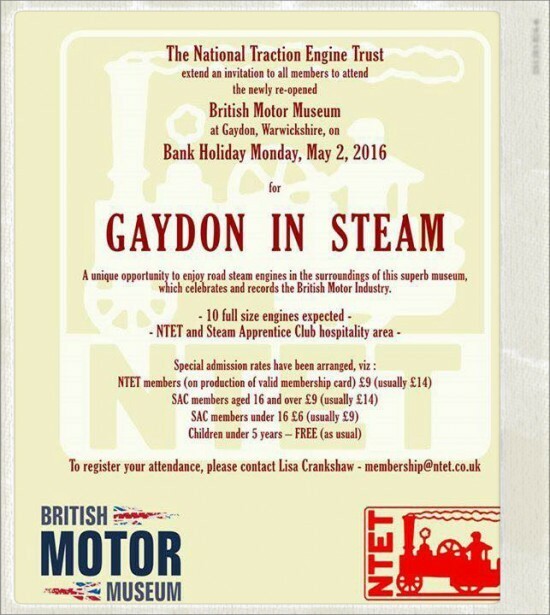 2016 saw the introduction of our first 'Members Day' at the British Motor Museum in Gaydon. Although the weather was very much agaist us the event was deemed a success and several more are currently being planned for members of the National Traction Engine Trust to enjoy. Full details of how the Members Days work will follow in the next week or so.